Green living is not just a trend. It is a necessity. You not only help to save the environment, but reduce your bills and the use of scarce resources. 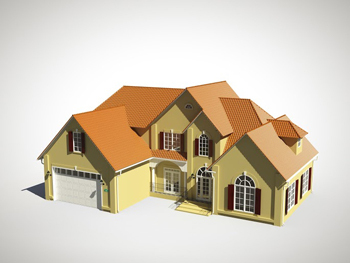 When you plan a garage door replacement, you can consider a new unit which is energy efficient. This will allow you to make your home even greener. The question is how to choose a door which will provide proper insulation and help to keep energy costs down for years to come. Here is some helpful advice which you will benefit from using. The energy efficiency of modern garage doors is measured. This makes it easier for buyers to make a choice. Instead of taking various features into account, you simply need to compare a set of numbers. This will make the shopping process easier and quicker. The R-value is the main measure for the energy efficiency of different structural components including doors. It shows their thermal resistance. More simply put, it measures how effective the components are in preventing the transmission of heat between the indoor and outdoor environment. The higher the R-value of a unit is the higher its energy efficiency is. It is important to note that the R-value depends on a range of factors. These include the types and quality of the materials used for the making of the model and their thickness. Sheet metal, for instance, does not provide as high insulation as wood. The energy efficiency of a unit depends greatly on its make. Glass garage doors are the least energy efficient. Wood has better insulating properties compared to metal and fiberglass. The thickness of the material is important as well. The modern doors have layer-based design. Typically, a layer of insulating material is set between two layers of the main material. Two-layer designs as well as four-layer and five-layer designs are available as well. Finally, you should remember that the energy efficiency of the door will depend on other factors as well. These include the installation of weather seals and on the provision of appropriate maintenance and repair.